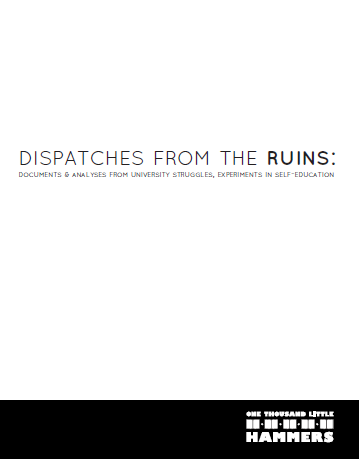 A collection of texts from various student struggles around the world and about the role of the university in general. Christopher Newfield and Edu-factory Collective, The Corporate University and the Financial Crisis: What is Going On? George Caffentzis, The Student Loan Debt Abolition Movement in the U.S.
Edu-factory Collective, All Power to Self-Education!